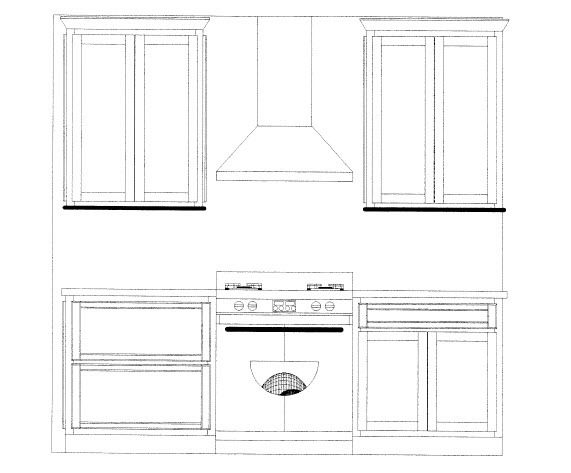 Well, the cabinets are ordered! 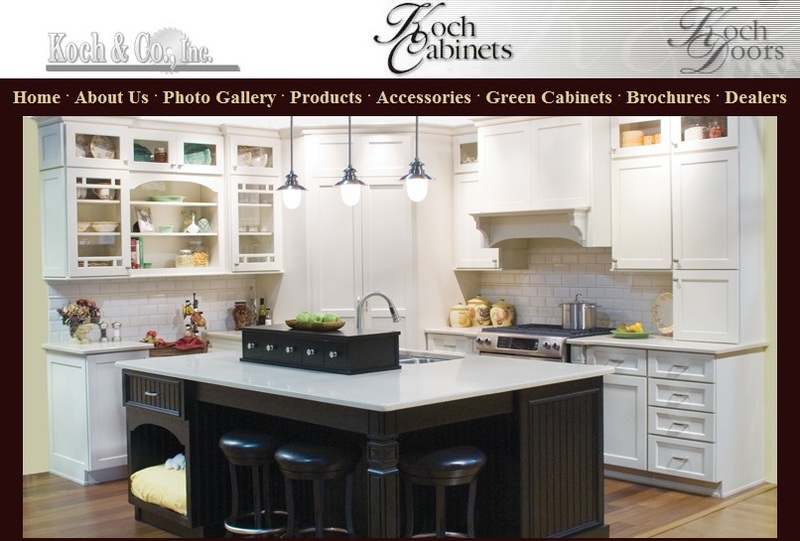 We went with a local kitchen place to order and install the cabinets, we chose Koch Cabinets, a family company in Kansas. 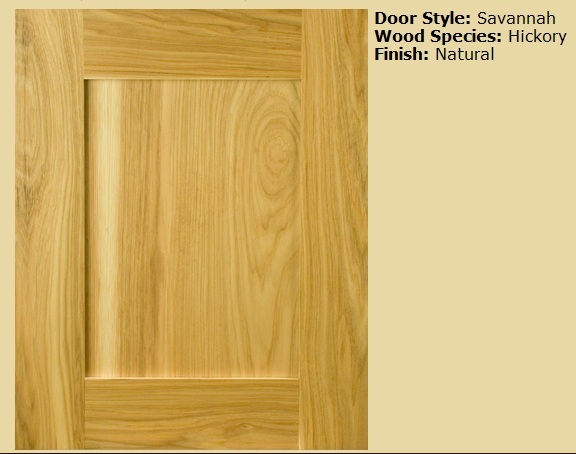 I chose the Savannah door, a simple shaker style, in a white painted birch finish. They will look similar to this, only without the fancy glass doors on the left. 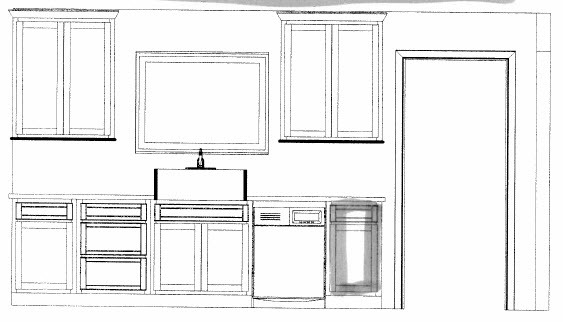 The refrigerator wall will have the biggest changes, with a tall broom closet on the left of the frig, and the microwave in a cabinet under the counter. There is a panel enclosing the right side of the frig, that is not pictured. The counter on this wall will be 42 inches to make using the microwave easier and make it more like a bar height. That micro cabinet is seriously not to scale, the drawer will be a nice big 15" high one and the microwave will fit perfectly in the upper cabinet. Or more modern with a natural wood tone. 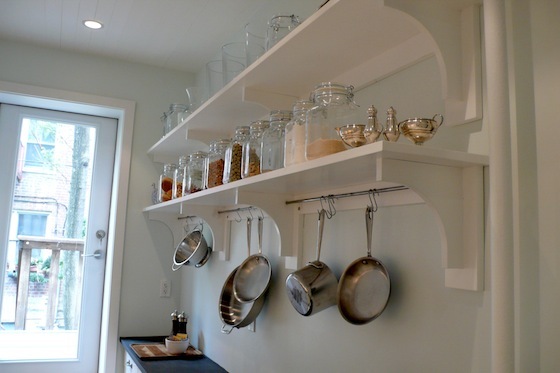 I also love this DIY pot rack shelving, how cool! 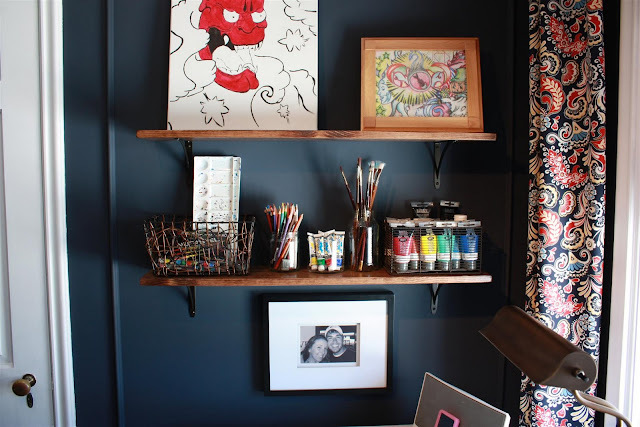 I've made some simple shelves for the art room, so I'm hoping to find some thicker wood to do something similar in the kitchen. I can't wait to have all our dishes out in the open, we literally go through all our bowls and plates over the span of a couple days, so they will have no time to get dusty, and they are already white so they will look right at home. Our cabinet cost includes: full-overlay doors, dovetail drawers, full extension drawers and roller trays, softclose drawers, crown molding, light rail molding, toe kick, shoe molding, and shaker side panels for refrigerator surround. Those cabinets are going to be so beautiful! I love the style. It's going to be so nice! You'll love the waste bins. I am so happy I went with those. Hiding the garbage is a must. OMG! It's going to be so great!!! Can't wait to see! I think the kitchen will look very nice! Wow! This is going to be fabulous. I love all the thought that went into this. I am esp. liking the deep cookware drawers and the microwave under the cabinet. That's on my list for the next house. I really hate not having a hood! Your kitchen is going to be amazing! I'm in love with all the inspiration photos! But what did you decide about the floors? 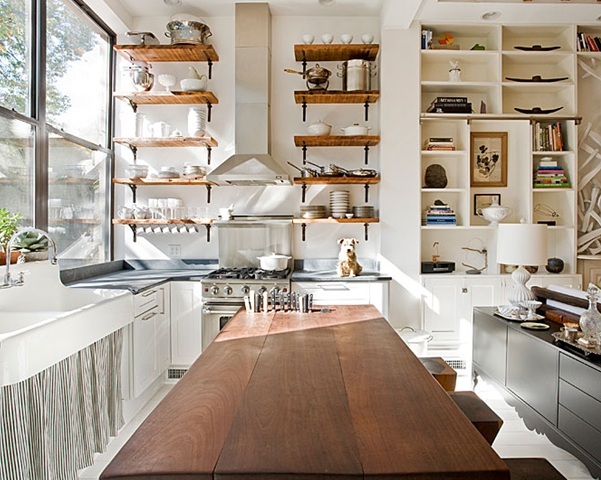 open shelving is so beautiful. I would be too afraid to do it here in LA with the risk of earthquakes. How horrible would it be for everything to come tumbling down? (even if they weren't the nicer China...still a mess to clean up). OMG it's going to look SO GOOD!! I can't wait to see it all finished. Ohhh I can't wait! Those cabinets look gorgeous and it sounds like you really thought everything through. There is always more to figure out than it seems. I really like the modern wood toned shelves you posted. Um, your kitchen is going to look pretty much amazing. 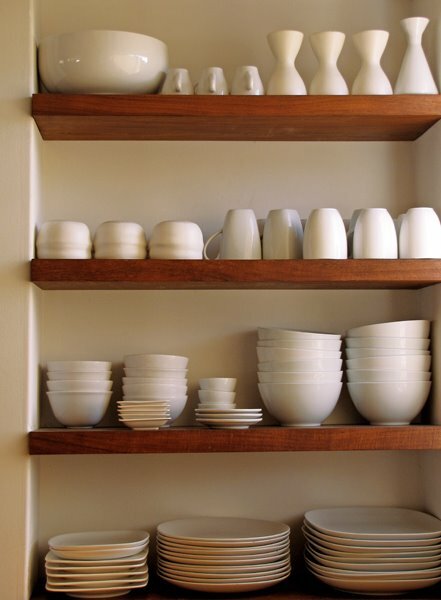 I'm impressed with anyone who can do open shelving - I wouldn't be able to because we have lots of mis-matched sets of dishes. Even though it costs a pretty penny, I agree it's totally worth it when they can get it done so fast! I love it! Can't wait to see the finished product! I just purchased a condo and I'm 99% sure I'm going to pick the cabinets that look exactly like yours! Congratulations on being knocked up!